This amazing depiction of a wild stallion comes to life with all the brilliant detail of a real horse. Hand carved from two tones of marble by our team of experts. 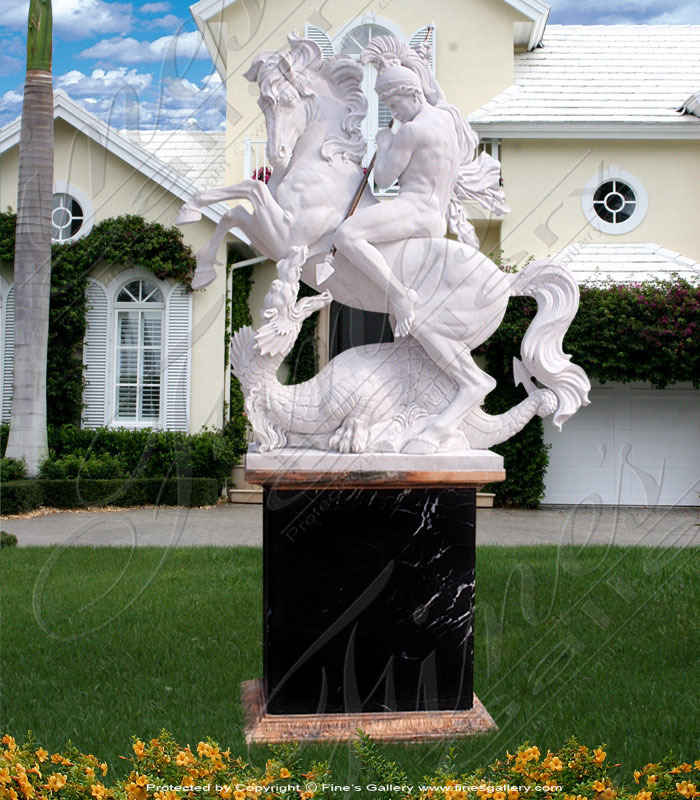 We offer complete customization to offer you the marble artwork of your dreams. This is a beautiful and majestic wild beast hand carved into our popular Rosetta marble with striking red and gray tones.The artist has rendered a perfect likeness of thisanimal in all histerrifying glory.Let him guard over your home! 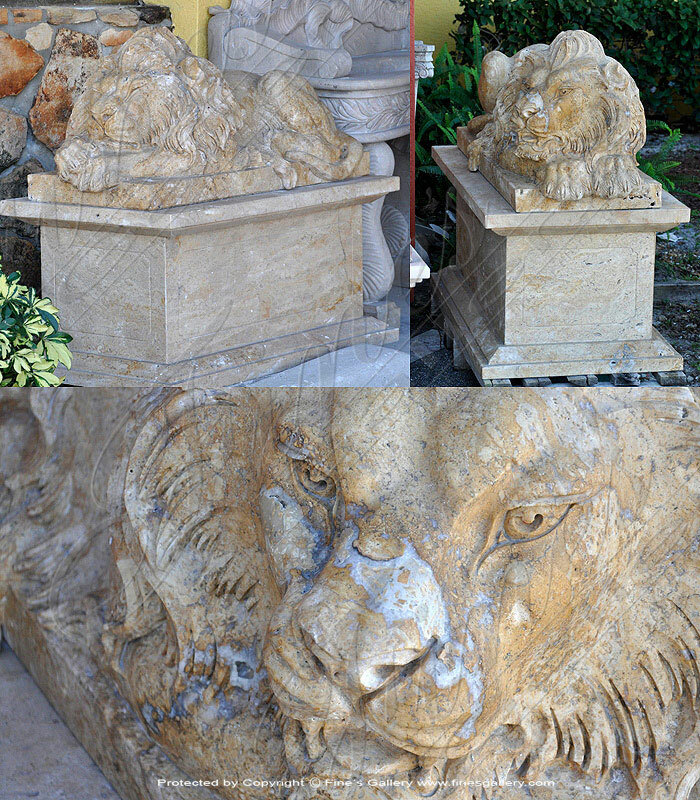 Antique Style Lion Pair carved from solid beige travertine. Sold as a pair. 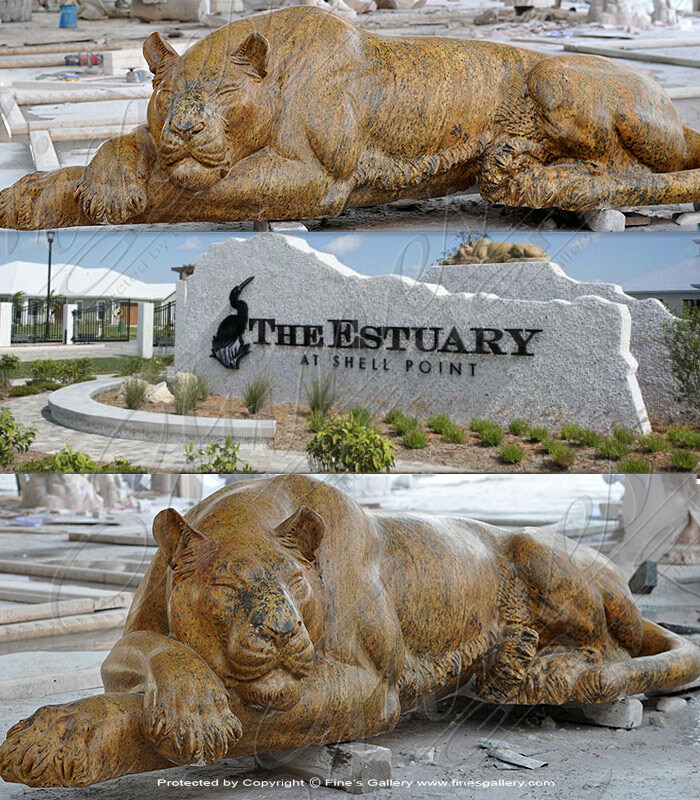 This beautiful resting panther granite statue is carved from a solid block of antique gold granite. Designed for a gated community located in Fort Myers Florida. 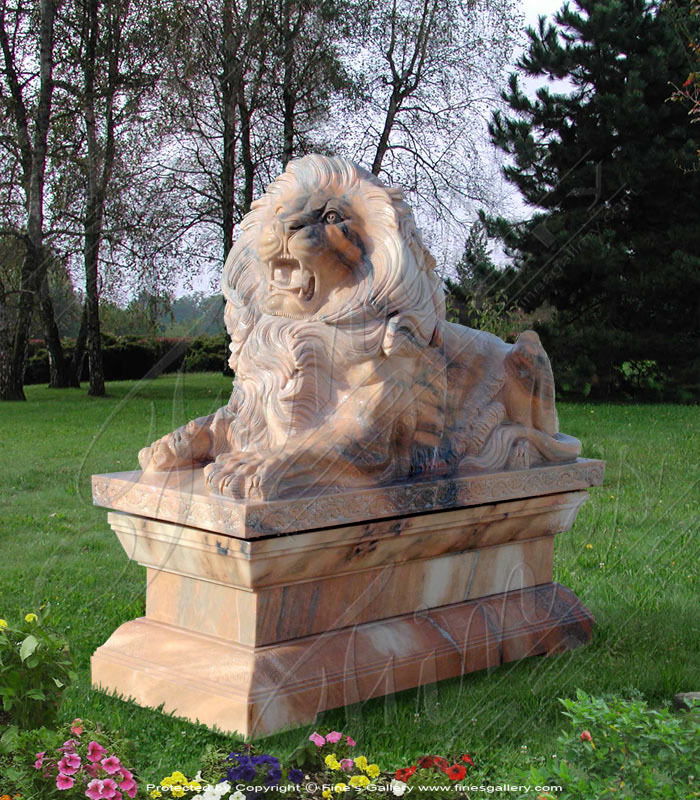 This large and decorative chimera lion is made from 100% pure marble in natural colored earth tones. 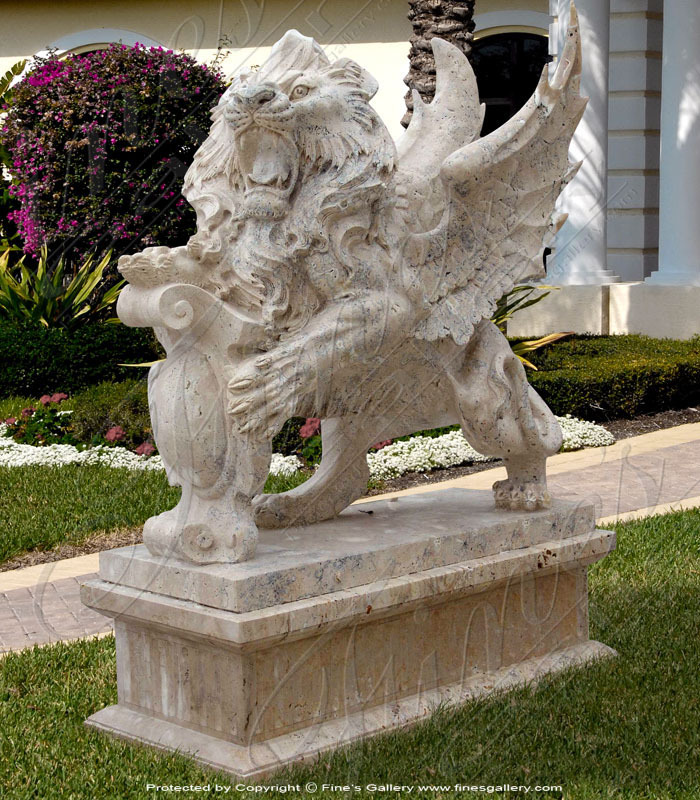 A stunning work of art, featuring a carefully sculpted winged lion, growling fiercely and holding a decorative scroll. 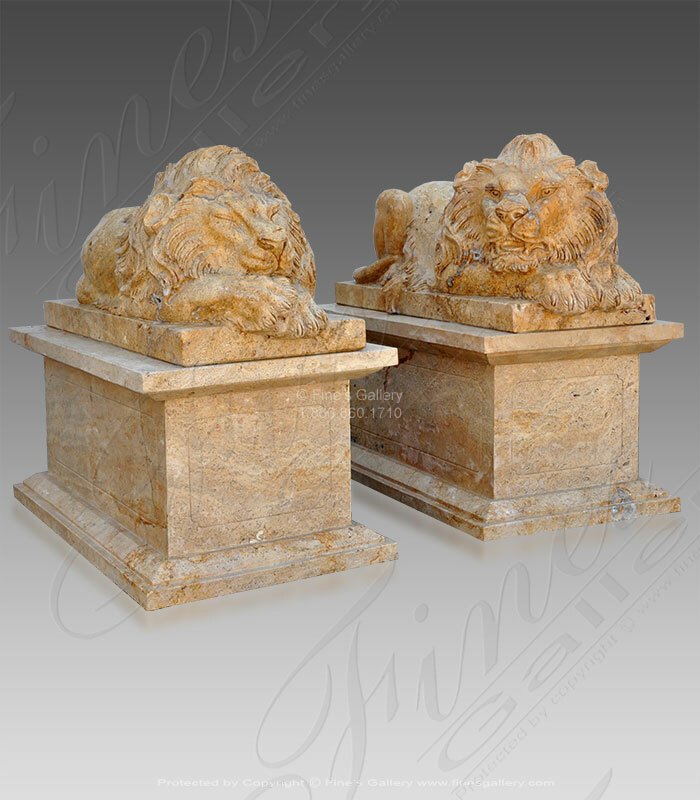 This Solid Granite Lion Pair has been hand carved from solid blocks of 100 percent solid naturally quarried granite. 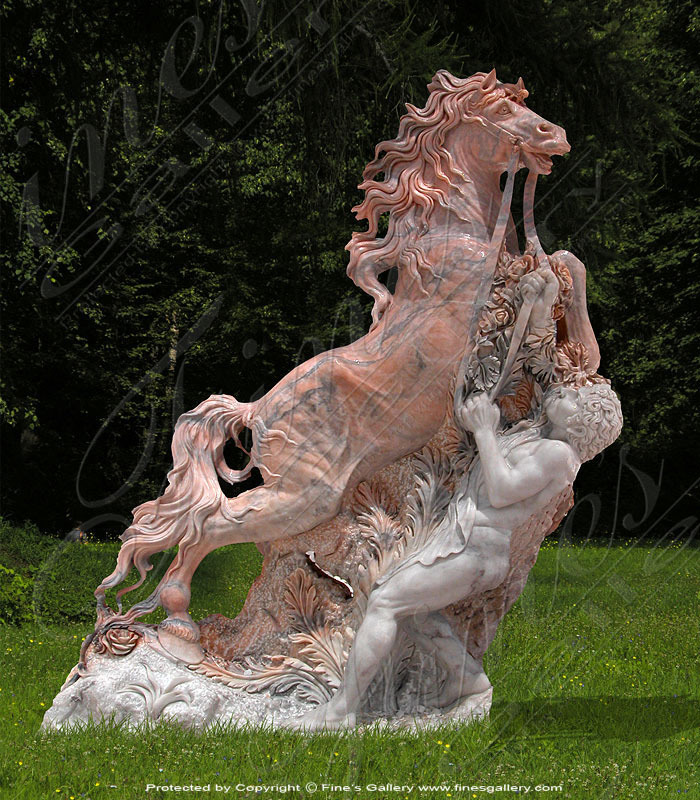 These majestic creatures are all finely hand carved from gorgeous Rosetta marble. 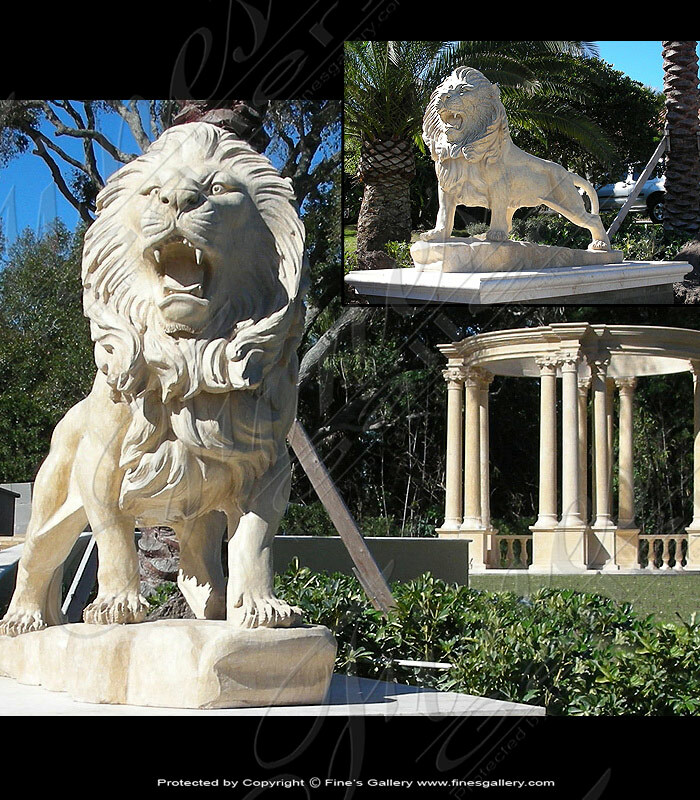 Each lion is sculpted with the highest quality craftsmanship featuring realistic detail in life size. A powerful pair to guard your estate. 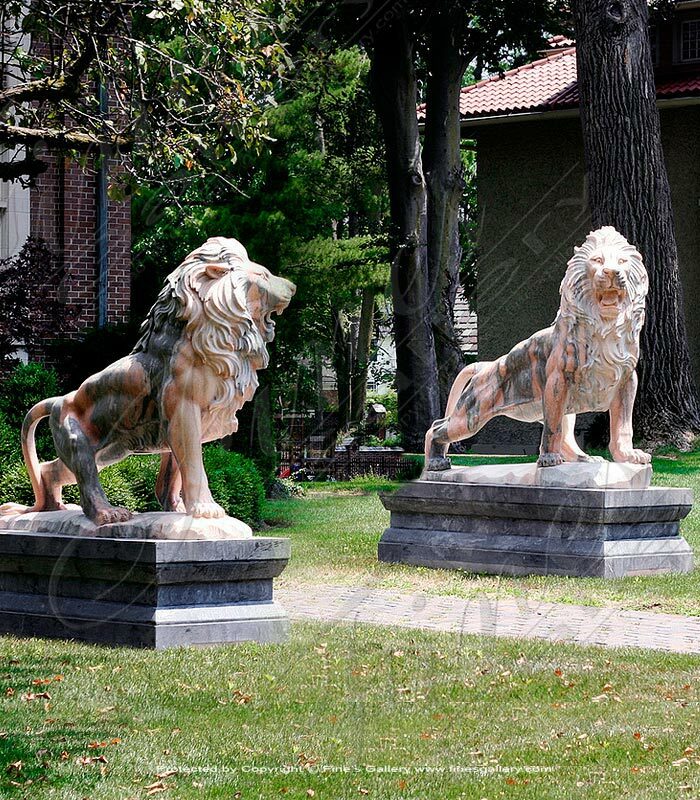 This majestic pair of lion statues will guard your home and create an atmosphere of elegance and intrigue. 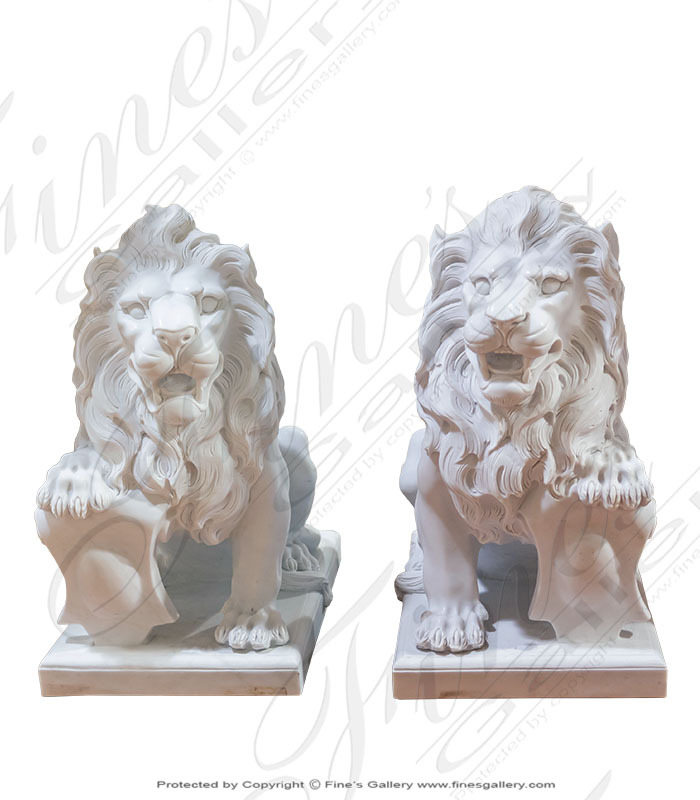 Each lion is sculpted from beautiful marble with finely detailed and highly realistic features. 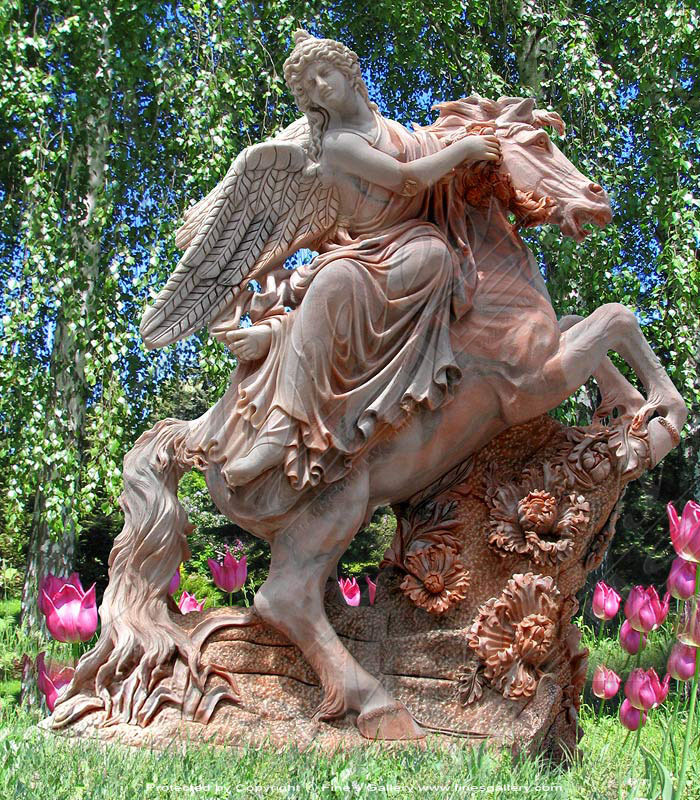 An impressive statue set to add to your home decor. 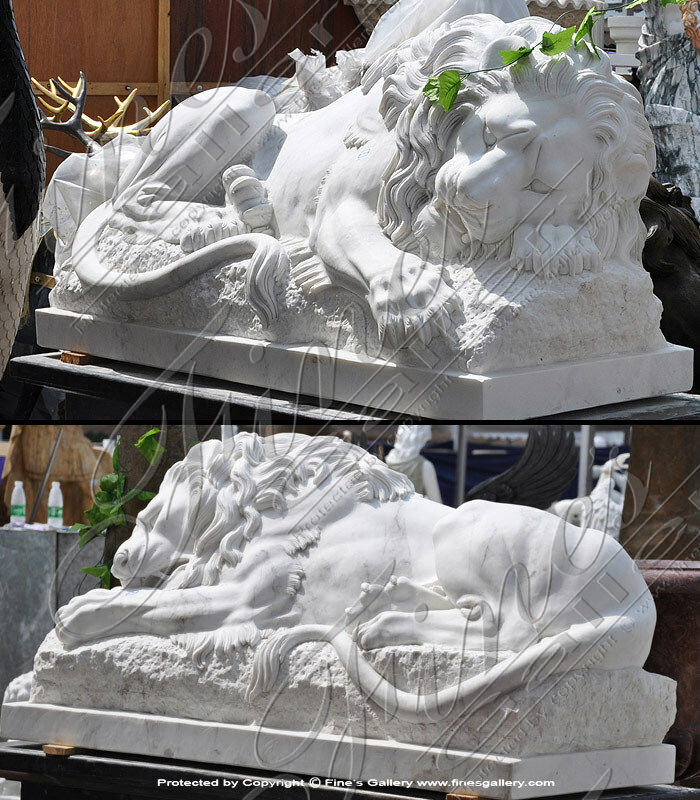 This restful lion is available with matching black or white marble pedestal. 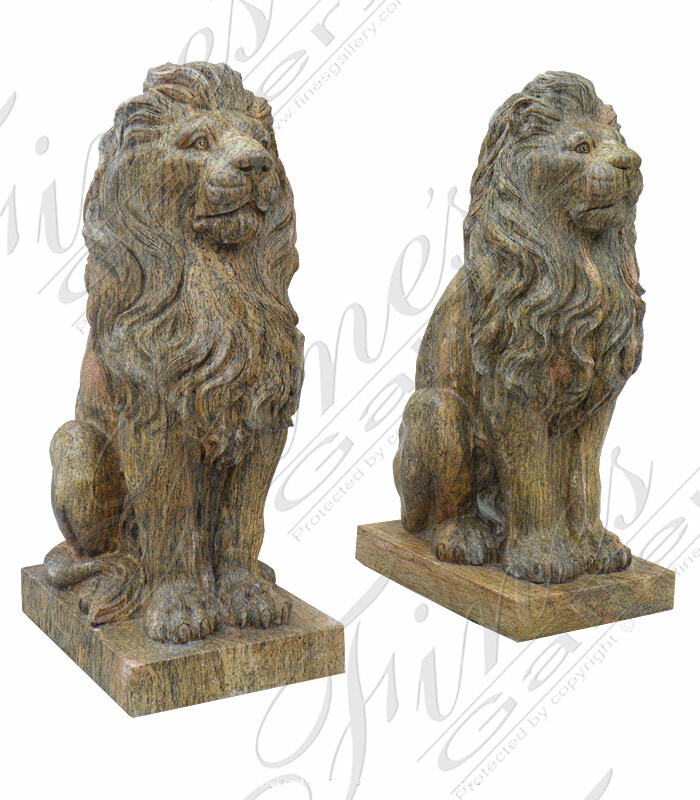 The lion statue is available starting at 36 inches from head to tail all the way up to life size. 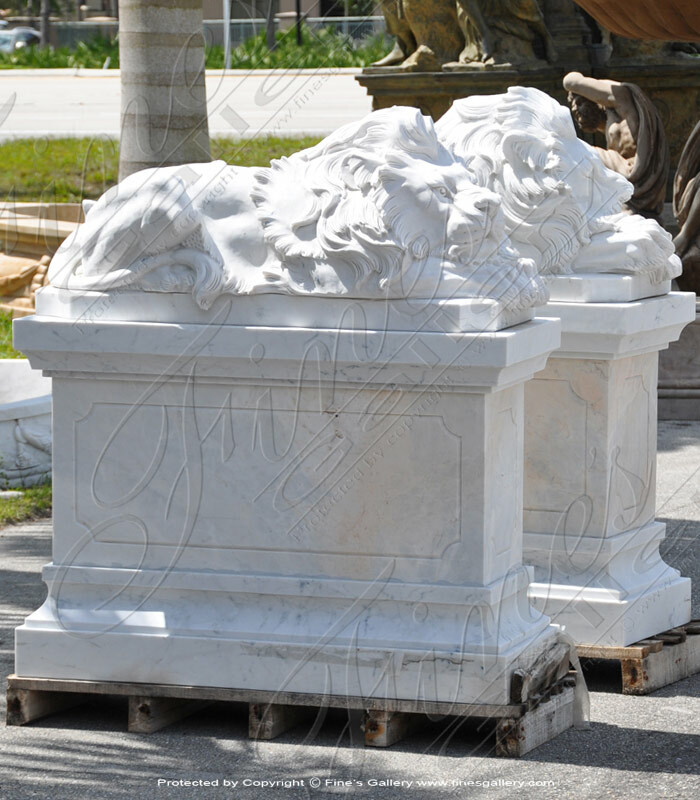 This pair of Sleeping Marble Lions in white marble is very finely carved from pure white marble blocks. Price is for a pair and includes the pedestals. 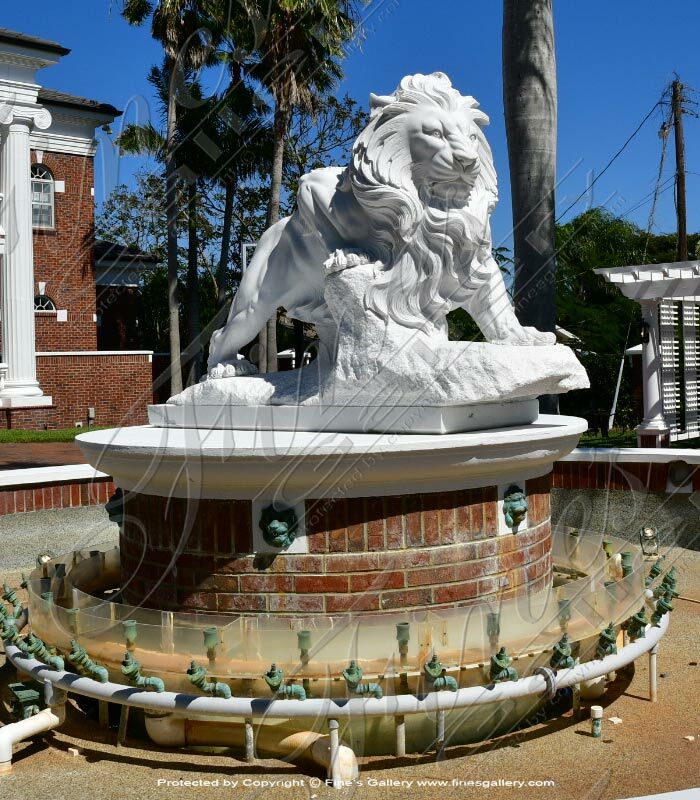 Marble Lion Installation set inside of a fountain feature. 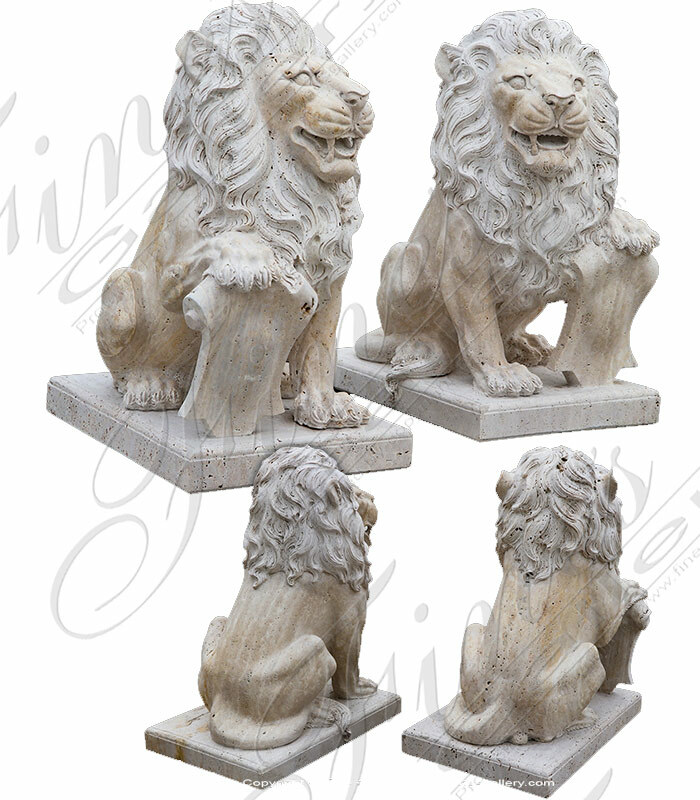 These rustic beige marble lions are sold as a pair and include the pedestals!